One of the reason why I love Germany is because bakeries are everywhere, and it's open everyday. Unlike most of countries in Asia, in Germany most of the shops are closed on Sunday. In bigger cities, some shops are still open, while some restaurants are open for lunch or only for dinner. Bakeries usually open everyday from early in the morning until 5-6pm. 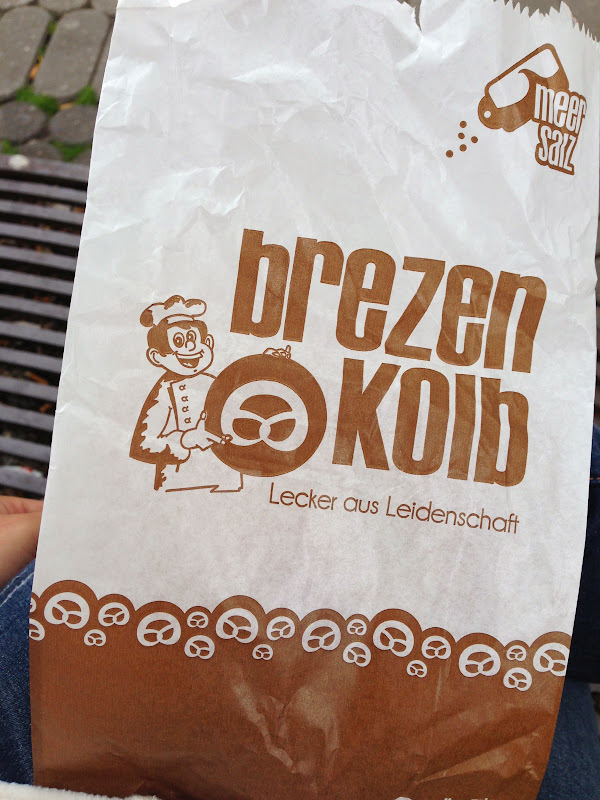 Why I really like Bakeries in Germany because of the pretzel. 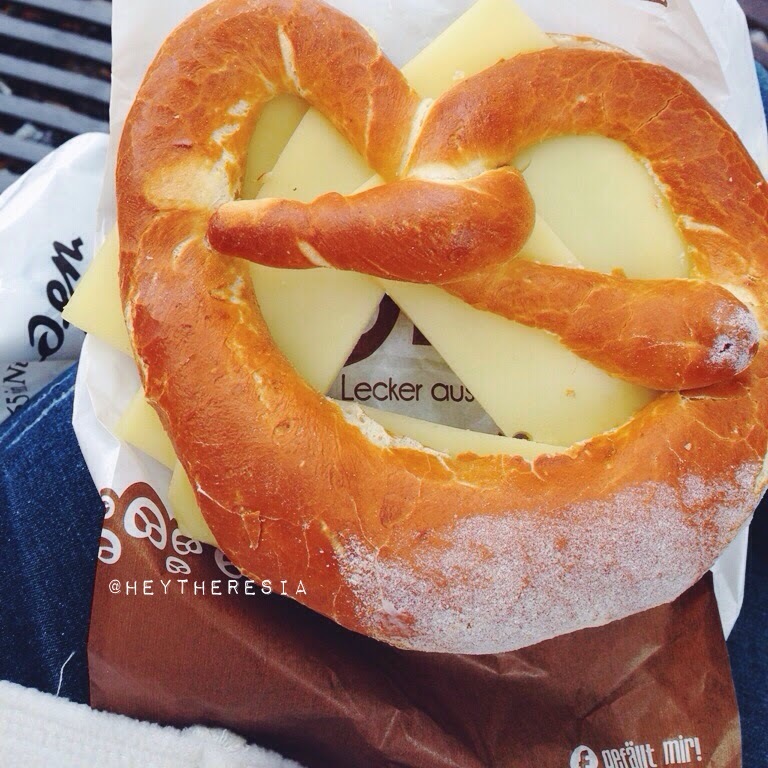 I eat pretzel like almost everyday when I was there. 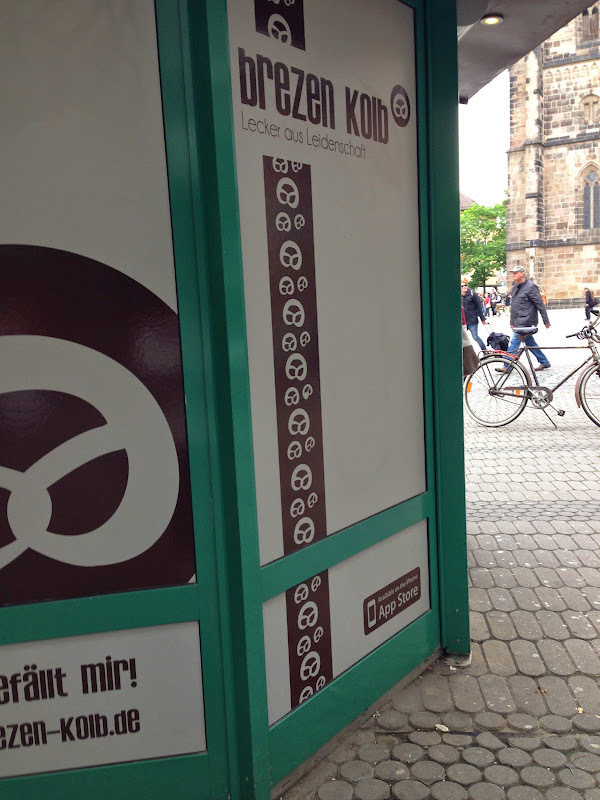 Brezen Kolb is the most famous Prezel in Nuremberg. it's not a bakery as they only sell pretzels. It was a really good pretzel, I had mine with butter and cheese. But I prefer the plain one. 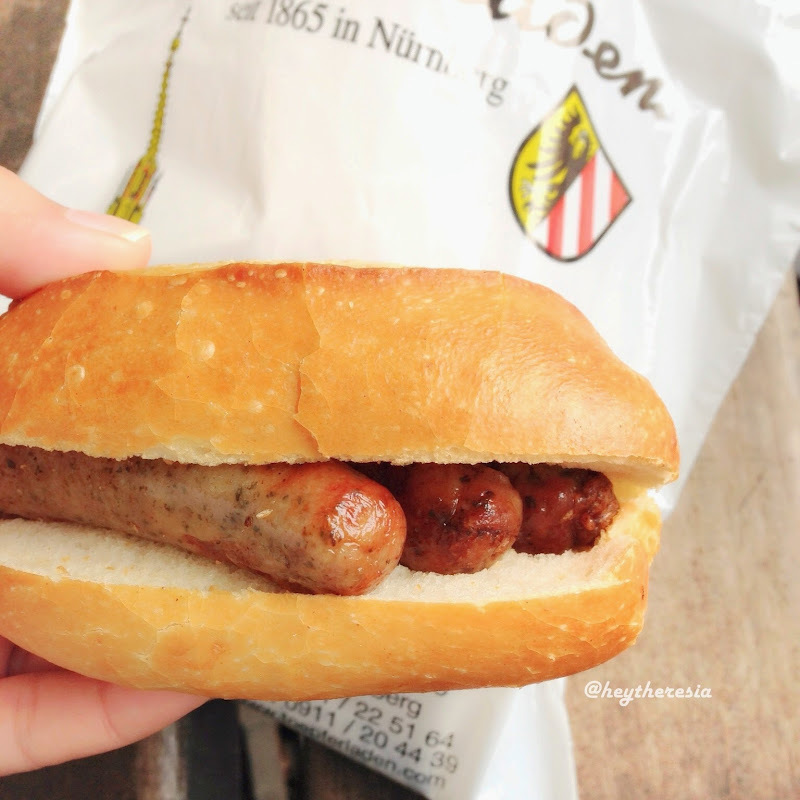 Nürnberger Bratwurst, typical from Nuremberg, Bavaria, Germany. 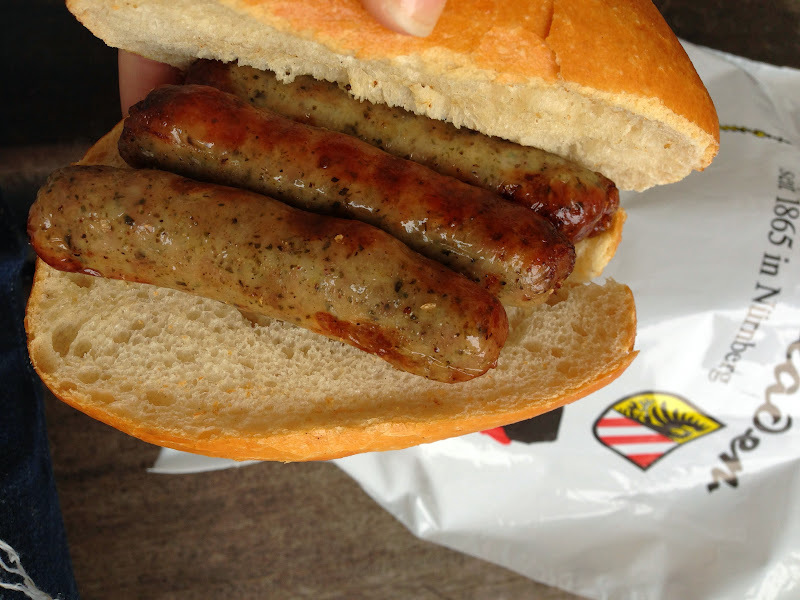 I personally like this one better than the other wurst. It's saltier than the other wurst, but really good because it has plenty of herbs. The way it served also unique, it's always three grilled wurst in a bun. You can also add ketchup and mustard if you like. Nuremberg is a city with a beautiful old town, really good food, and famous because of its gothic church. I visited Nuremberg in May 2013, it's supposed to be warm, but guess what, it was 6 Degrees Celcius at noon. Even the locals said it was like the worst Spring in last 10 years. I spent about 3 days there. It's one of favorite city in Germany, I'd love to comeback there in the future.